So how do you break the cycle? First, identify what emotions are triggering food binges. Stress? Depression? Anxiety? Happiness? A nutrition journal is a great tool that can help track these types of patterns. After determining your main triggers, you can focus on your action plan to avoid emotional eating. Remember, there is more to the holidays than just food: family, friends, laughter, love, etc. 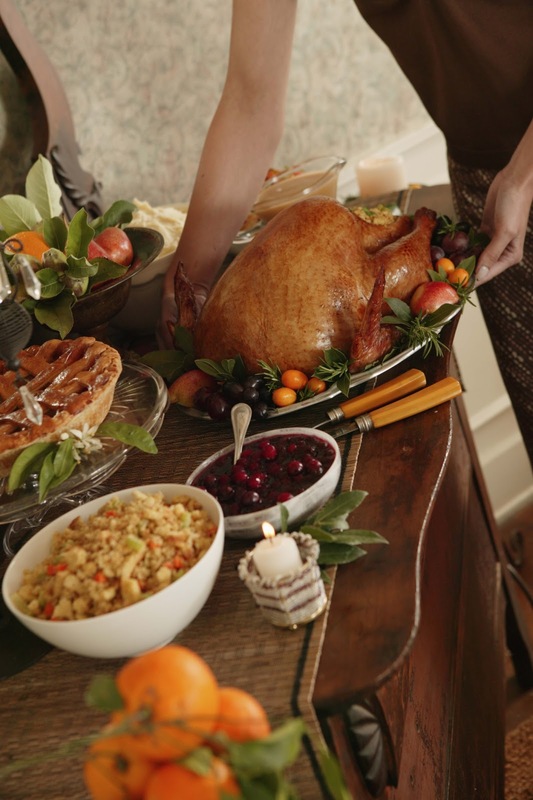 Don’t skip any meals to “save your appetite” for a big dinner because that sets you up for overeating. Consider eating smaller portions for breakfast and lunch, but don’t come to dinner starving. Have a small snack in advance like an apple or string cheese to take the edge off of your hunger. Bring a healthy food item with you to the meal. This way you can control at least one of the platters. When you fill your plate, make sure there is space between the foods to help you eat appropriate portions. Eat slowly. Taste each bite; savor the food, company and atmosphere. Exercise that day. Either walk off your dinner or enjoy a relaxed, family activity together. their daughter Ellie, now almost 3 years old. In July, GBMC launched its first essay contest, asking fans to describe the impact that the hospital has had on their lives. Voting was held by GBMC Facebook followers and contestants’ peers on Facebook. Dayna Bell was the winner, earning herself a $100 gift card and the opportunity to have her essay published in Greater Living, GBMC's community publication. Congratulations, Dayna! As a homesick college freshman, I only knew GBMC as a landmark on Charles Street. It brought tears to my eyes to see it and know that I was getting closer to being dropped off at college. A year later, my feelings changed and it became the landmark that brought excitement, signifying that I was almost back to my home away from home. GBMC became a much more significant part of my life 10 years later and ironically brought a similar pattern of sadness and fear that ended in the purest of joys. The sadness and fear came when I was diagnosed with breast cancer at 29. I went through months of treatments at GBMC in many different departments of the hospital. I was amazed to find that almost every staff member I met, from the custodial staff to the doctors, were so professional, kind and compassionate. No doubt that the treatment was top notch, but it was much more than that. Coming to a place for treatments that made you sick was horrible; however, it was the staff that kept me from kicking and screaming every time I had a chemotherapy appointment. It was actually one of the infusion nurses who made me feel confident enough to take off my wig when my hair was growing back in. I also first met the patient navigator there, who has since become one of my best friends. Fast forward three years and GBMC became a place that shared the most joyous moment of my life – bringing my baby girl, Ellie, into the world. I went from going for weekly chemotherapy treatments to attending weekly baby classes and appointments to see my baby growing inside me. Those two events were such life-changing events for me, and GBMC was there for me through it all. It is now the golden standard to which I hold other hospitals. Visiting other hospitals, I am always thinking in my head, “GBMC does this better.” Even my husband has become a huge fan and thinks that the cafeteria is so great, he will actually suggest that we go there for dinner whenever we are in the area. Okay, that is a little strange, but when a place helps you through the worst and then best times of your life, you can’t help but hold it in a very special place in your heart. Visit www.gbmc.org/cancer or call 443-849-GBMC (4262) to get more information on the services offered at GBMC’s Sandra & Malcolm Berman Cancer Institute. And become a fan of GBMC on Facebook by visiting www.facebook.com/gbmcmedia to stay tuned for upcoming contests! 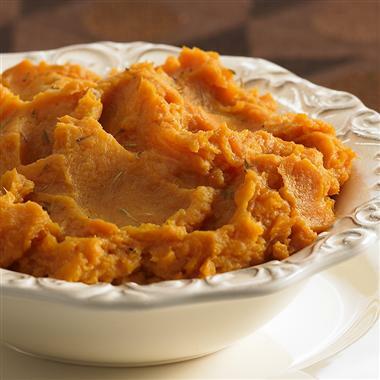 In a large pot, boil sweet potatoes in salted water until tender, drain in a colander. 1. Have the right motivation. In order to kick the habit, you need a strong desire to quit. Maybe it’s for your health, your family or to save money. Whatever it is, write it down and keep it close by to remind yourself why you’re doing this when things get difficult. 2. Beware of going cold turkey. Although it might sound like a good idea to just stop smoking all together, this method tends to lead to relapse. Try slowly cutting back until you’re down to not smoking at all. 3. Consider nicotine replacement therapy. There are all kinds of gums, lozenges and patches on the market that help you step down off your nicotine habit gradually. Try using one and see if it helps curb cravings. 4. Seek encouragement and support from family and friends. Don’t keep your effort to quit under wraps. Shout it from the rooftops. Not only will you be held accountable, but you’ll gain much needed support from friends and family. 5. Keep a craving journal. Write down the time when you crave a cigarette the most. This will help you to effectively identify your triggers. 6. Once you’ve identified these triggers, try your best to avoid them. Do you have a cigarette with your cocktail? Perhaps with your coffee? Try avoiding these things for a period of time while you get back on track. 7. Reward yourself. Take the money you would have spent on cigarettes and buy yourself a treat for staying away from them! 8. Learn more effective ways to deal with stress. If stress is one of your main trigger points for smoking, learn some alternative methods for stress reduction, such as yoga, tai chi or massage. As you continue on your journey to becoming smoke-free, remember that it won’t always be easy, but it will most certainly be worth it in the end! Just two weeks to three months without smoking significantly lowers your risk of heart attack. That’s one great reason to quit! Chronic Obstructive Pulmonary Disease (COPD) is a common lung condition that makes it hard to breathe and, more often than not, is linked to smoking. Other risk factors for COPD include exposure to environmental hazards such as fumes, dust and air pollution over a long period of time. It typically affects people over the age of 60. The disease is usually a mixture of chronic bronchitis, which causes inflamed bronchial tubes and increased mucus, and emphysema, which prevents air sacs in the lungs from stretching as much as they should. There is no cure for COPD, but many treatments exist for easing symptoms. First, if you’re a smoker, quit smoking. 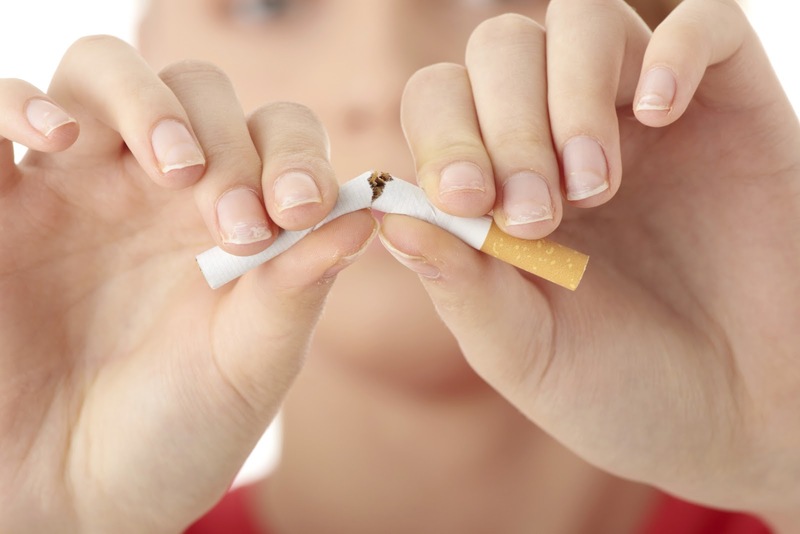 Kicking the habit sooner rather than later can help slow the progression of the disease. Medications for COPD treatment include inhalers, inhaled steroids to alleviate inflammation in the lungs and anti-inflammatory medications. Lung rehabilitation programs are also available to help individuals with COPD learn how to manage their disease and breathe a little easier. 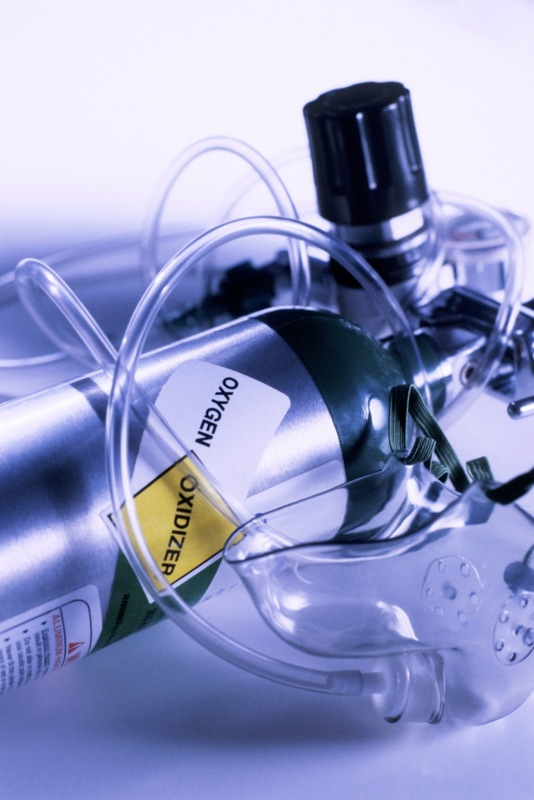 At some point during the course of the disease, patients may need to be put on oxygen on either a part-time or full-time basis. Another thing for COPD patients to keep in mind is that their condition makes them more susceptible to developing lung infections, so they are encouraged to take preventive actions such as getting an annual flu and pneumococcal shot. Other precautionary measures include avoiding lung irritants like smoke and dust, using an air conditioner or air filter to ensure cleaner air at home and taking breaks throughout the day when necessary. Focusing on maintaining a healthy lifestyle by doing practical exercises and eating well also goes a long way to ensuring effective management of COPD. If you are concerned you might have COPD, talk to your primary care physician. To find a primary care physician near you, visit www.gbmc.org/mydoctor.